keeping 100% security through the existing SAP system landscape. Create, change and submit expense reports for business trips or other expenses. Keep track of your expenses, the status and stay on top of your finances. Enter your incoming and outgoing transactions, scan receipts, upload receipts and assign cost. The Approve Travel Expenses App is intended for travel expenses approval. It offers a simple functionality to handle the process of approving travel expenses. Manage and report your time effectively on mobile, tablet, and desktop devices against assigned cost objects and activities. Manager time approval app of my team timesheet entry. Quickly see all pending approvals for managing employees’ time. Create and submit leave requests quickly and flexible. Track the status of requests and view current leave balance. Have a clear view of your teams upcoming leaves. Approve or reject your employees leave requests. Centralize your employee contact details and make them available to the whole organization. Users of this app will be able to easily view and edit their personal details (infotype 0002), bank accounts (infotype 0009), communication details (infotype 0105) and addresses (infotype 0006). Check and manage a digital version of all paystubs issued by the company for each payroll period. 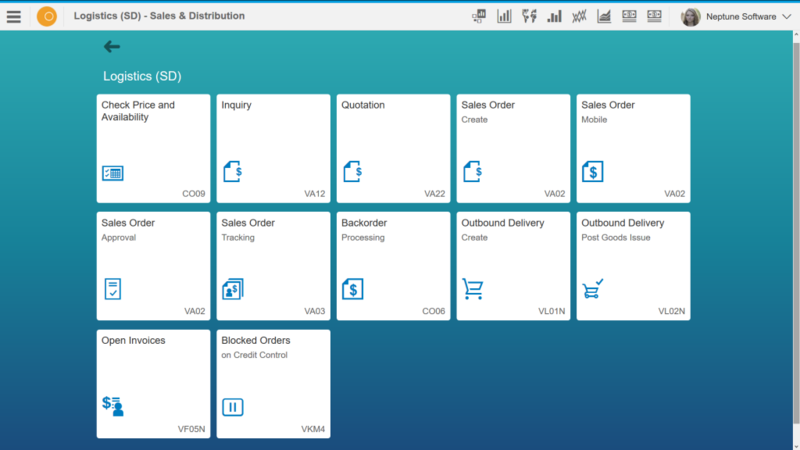 Create inbound delivery from purchase order. Display purchase orders with header and items information. The user can select the items and create the corresponding inbound delivery. Planned orders are normally created by MRP. In addition to this, mobile users will be able to create a planned order from scratch with just 4 or 5 inputs. Monitor which are the materials with shortages in a selected area of responsibility and a specific plant. 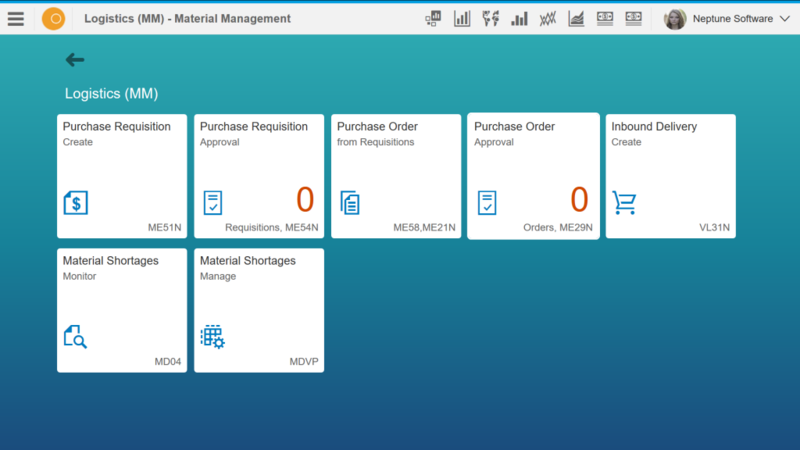 User can navigate to each item and have a clear understanding about each material /plant / controller situation. Convert purchase requisitions into purchase orders. Set your personal search variant and/ or get access to already saved variants. Assign matching suppliers to each purchase requisition. Choose assigned requisitions or assign unassigned ones and create PO. View pending purchase orders and approve them. View pending purchase requisitions and approve them. Create, edit and search purchase requisitions directly. Maintain purchase requisitions details and status according to the existing release strategies. 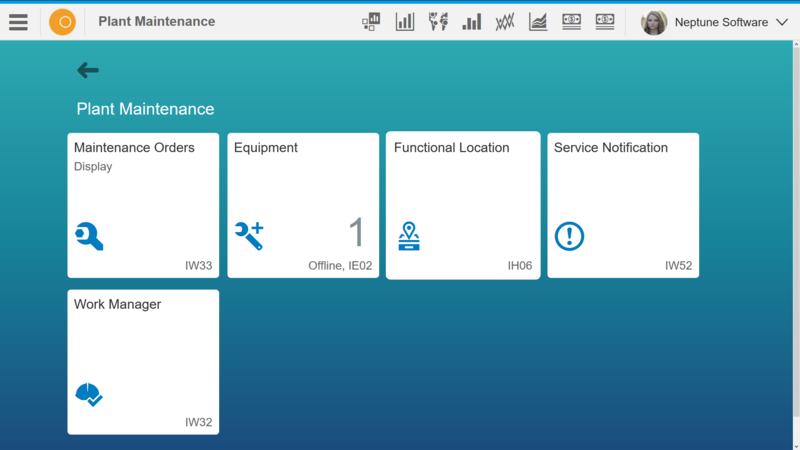 The app suite is customized and ready to run on any device without any additional infrastructure, middleware or server, keeping 100% security through the existing SAP system landscape. Post goods receipt based inbound delivery to the warehouse. Post goods receipt based on purchase order. If you have received the delivery note from the vendor, and you have verified that the delivery was based on a purchase order, with this app you quick and easy post it. Search and collect material, count, update inventory and confirm with any device. Scan barcode and count stock individually for the materials in a inventory document displayed in the app. The count results are entered and updated in the app on the inventory document. Display warehouse stocks of material, based on SAP Transaction BD52. With this app you can display stock for a specific material, by plant and storage type. Enter a storage location and/or storage type to further limit the output for this task. Save your search directly in the app as your personal variant. Filter and choose your personal display on the output list. 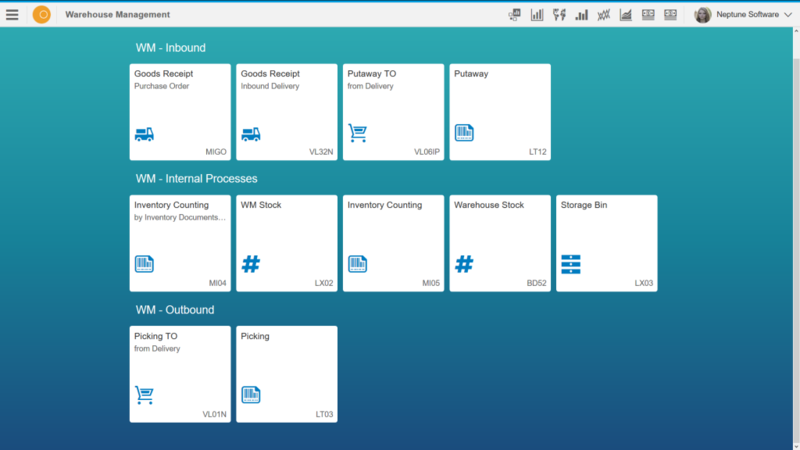 Display information on the storage bins as it does SAP transaction LX03. Generate a stock list for several storage types and storage bins for a warehouse number. This app shows you the created Transfer Orders in the system and lets you perform the picking process. It has been designed to be used with a barcode scanner. The user must select an order, scan the material number, source and then enter the quantity by using the on-screen keypad. This app shows you the created Transfer Orders in the system and lets you confirm the putaway process.